REDUCED!!!! 2016 Chevy Express 3500 is a 1-Owner clean Carfax history cargo van. 1-ton, 6.0L V8, ladder rack, partition, bins, power windows & locks, backup camera, keyless entry, cruise control, tow package and more. Mechanically inspected, serviced and professionally cleaned. 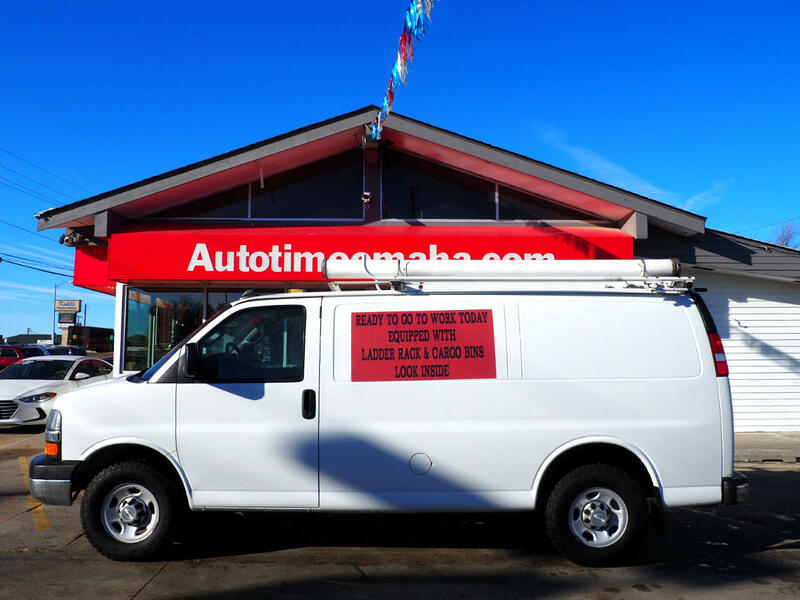 We stock a variety of commercial cargo vans, trucks and utility box trucks that can be seen at www.autotimeomaha.com so if you don't see exactly what you're looking for give us a call and let us know what you need. Call (402) 934-8002 to schedule a test drive today!